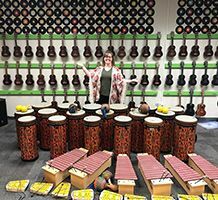 Weatherford ISD offers large school opportunities with a small town approach. The care from our teachers, the support of our community, and the true belief that we are one town, one team is only rivaled by the endless opportunities that Weatherford ISD has to offer students. 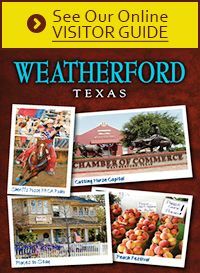 Located about 25 miles west of Fort Worth, Weatherford ISD offers public education for approximately 8,100 students enrolled in grades PreK - 12. The District has 11 campuses and is spread over 254 square miles. 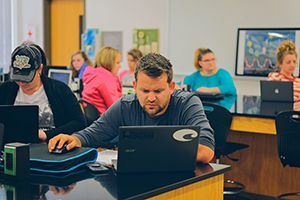 Today's elementary classrooms include opportunities for students to connect globally with other classrooms, children's authors, and subject matter experts through technology such as Skype or Google Hangout. Our campuses also allow students to explore interests outside the normal curriculum through Genius Hours and clubs such as robotics, Minecraft, coding, and more! Our goal is to inspire your child's love of learning in a safe, nurturing environment. 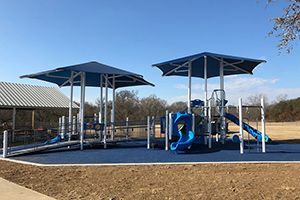 In addition to academic and club opportunities, all elementary campuses in Weatherford ISD include playgrounds that are accessible to all students and has been named a National Demonstration Site by PlayCore for this distinctive feature. Shirley Hall Middle School and Joe Tison Middle School are home to students in grades 6-8. Our staff and student body work together to build a positive culture of respect and high expectations. Core values such as kindness, respect, honesty, determination and responsibility-- provide guidelines for success in all that we do. Our goal is to help students achieve academically, socially and emotionally as they mature into young adults. Middle school students also enjoy and excel in many extracurricular activities in fine arts, athletic and academic competitions. These programs provide the foundation for learning the skills and leadership needed for high school participation and achievement. As we look to the future, we are implementing innovative instructional practices to help prepare our students for a world not yet imagined. Our use of collaborative spaces is one example of our commitment to teach the 21st Century skills that students will need to excel in a global community. Weatherford High School is a dynamic educational center comprised of two campuses. The main campus is located just off Interstate 20 and serves students in grades 10-12, while the Ninth Grade Center is located in the center of town in the shadow of the historic downtown square. Weatherford High School educates students in innovative ways, and offers choices that cater to the needs of each student. Weatherford High School has a thriving Career and Technical Education program and a robust Advanced Placement program. We have an acclaimed Performing and Visual Arts department as well as support programs such as the Rise Academy and Vocational Training Program (18-22 year olds). Advanced Placement and Dual Credit courses offer students the opportunity to choose from more than 20 classes to earn college credit while working towards high school graduation. And, the WHS Collegiate Academy gives our high school students the advantage of earning a high school diploma and an Associate's degree at the same time. Kangaroo Nation also supports a robust athletic program with bright future and a history of winning. WHS is the home of the nationally acclaimed Blue Belles and our exceptional Fightin' Roo Band. Our Weatherford High School family is a tightly woven partnership of school, parents, and community that exemplifies the town we live in. We often say, "Roo Pride lasts forever", and if you look at our past, present, and future Roos...that statement rings true. Business leaders and individual community members also have an opportunity to support our school district through PTAs, booster clubs, and the Weatherford ISD Education Foundation. 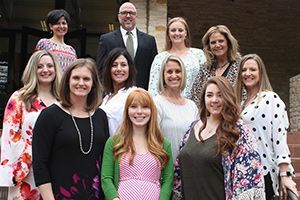 Since the spring of 2001, the WISD Education Foundation has given over $1,300,000 in grants to Weatherford ISD teachers to fund innovative programs in the classroom. The Foundation also provides school supplies for students in need, offers continuing education scholarships for teachers, and funds Heather's Books – a program to provide books for Pre-K students. 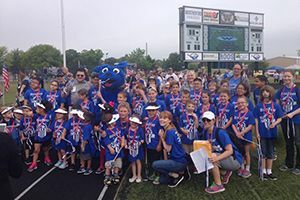 For working parents, Weatherford ISD's Kids Unite program offers after school care at each elementary campus as well as a summer day camp program offered on weekdays. In the early 1920's, WHS coach Ray Morrison, accepted a position at Austin College. Since Coach Morrison was so admired, WHS adopted the mascot of his new school, the kangaroo, as their own. Additional information about Weatherford ISD may be found on its District website and social media pages. In addition to excellent public schools, Weatherford also has outstanding private/Christian schools including the School House. Celebrating 150 years of Changing Lives! 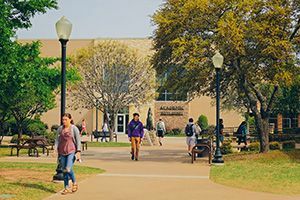 Weatherford College celebrates 150 years of changing lives in 2019. 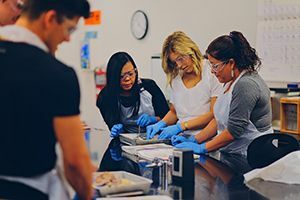 With locations in Weatherford, Granbury, Mineral Wells and Wise County, WC offers a variety of two-year degrees and workforce programs with small class sizes and personalized attention. 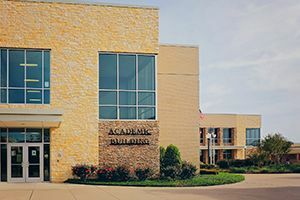 The Weatherford campus was updated over the past decade with more than $30 million in facility remodels, including the addition of a new Academic Building and the Don Allen Health Science Building. WC also offers students a variety of educational support services through the Speaker Jim Wright Library, The Center for Research and Writing and the Academic Support Center. Students can enjoy free fine arts events in the Alkek Fine Arts Center including concerts and theatre productions and receive complimentary admission to coyote basketball, baseball and softball games. Students who wish to forgo a commute can find apartment-style accommodations at the on-campus Coyote Village student housing and have access to the WC Cafeteria which is known throughout the community for its excellent food. The staff at WC organize a multitude of activities to enhance student life on campus including a Halloween Dance, casino nights, campus cookouts, Multicultural Week, an Earth Day celebration, Veterans Day ceremony and many more events. For more information or to schedule a campus tour, call 817-594-5471. You can also find WC online at www.wc.edu and on Facebook, Twitter, Instagram, Snapchat and YouTube.